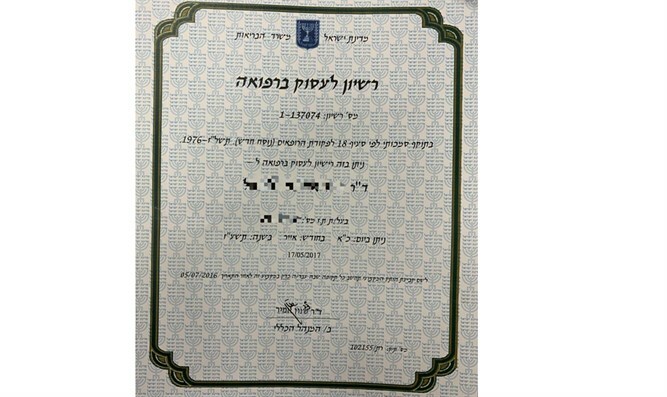 Israel police arrests 40 Arab doctors, interns, pharmacists presenting forged diplomas and medical certificates. Israel police arrested forty doctors, interns, and pharmacists who presented the Health Ministry diplomas from Armenian universities while in reality they studied there for a short time without completing required studies. The suspects then received licenses to engage in medical professions in Israel on the basis of this fraud. The investigation began following a Health Ministry request to the Israel Police to investigate an anonymous complaint filed with the Ministry. The investigation was carried out by the Israel Police Northern District Central Unit, who have been conducting protracted covert surveillance. This morning, the suspects' homes throughout the country were staked out and 40 suspects arrested from Kalia in the south to Majdal Shams in the north, among them doctors, interns, and pharmacists working in hospitals or other public health institutions. The investigation revealed the suspects had studied medicine at various institutions abroad. When they failed to meet the requirements of those institutions for accreditation, they turned to a con artist who had also once failed to complete his medical studies but eventually managed to identify and exploit loopholes allowing him to be certified as a medical graduate. 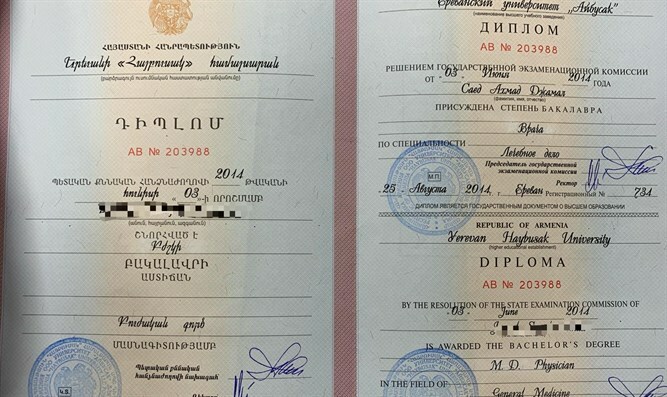 That impostor referred them to various academic institutions in Armenia, where they traveled and studied in the same institutions for a short period of time, after which they received their graduation certificates without completing the required period of study. Police say the suspects, who knew they held bogus documents, presented them to the Health Ministry to obtain the coveted medical licenses. Some of them even passed the certification exams and were hired for public positions as doctors or interns in hospitals or other public institutions. One of today's suspects in his 30s, a resident of Ar'ara, was arrested while on duty as a doctor in the internal ward in a recognized Israeli hospital. 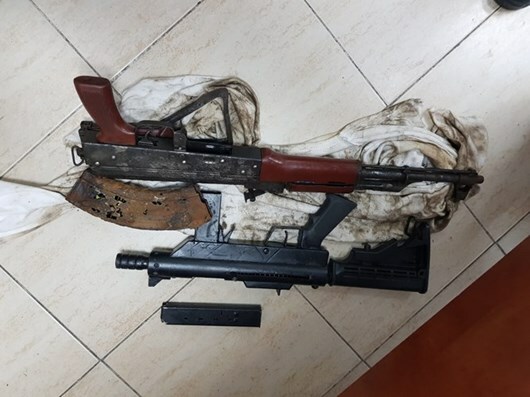 In another case, during the arrest of a Tura resident who represented himself as a general physician, the suspect's father was caught fleeing the scene with two weapons, a Kalashnikov and a Carlo. In another case the suspect was a self-employed dentist who previously served a prison sentence for "security offenses". 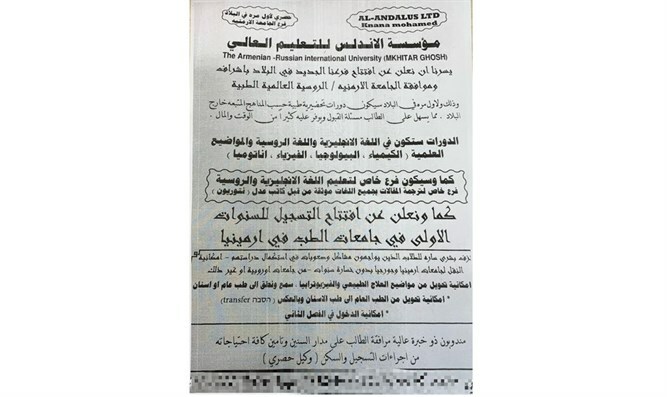 During the operation Arabic leaflets were seized that stated: "We're glad to announce to students who have difficulty completing their studies - there is possibility to transfer to universities in Armenia, Georgia without losing years from European etc. universities. It can be used for everything from natural medicine, physiotherapy, hearing and speech therapy, to general medicine and dentistry," the leaflet said. Most suspects will be brought to the Nazareth Magistrate's Court today for a hearing on the police's request to extend their detention. "The Israel Police will continue to focus enforcement against offenses that harm the safety and health of civilians and will act to bring the perpetrators of the offenses to justice," the police concluded its announcement of the raid.